We are always looking to bring new and exciting web content to the BigPumpkins.com community. If you would like to have your site listed here please send us email. Include the Name of the site, a brief description, the URL, and attach your logo. Mallorn Pumpkin List Archives Technical dicussion list for giant pumpkin growers. Ohio Valley Giant Pumpkin Growers The Ohio Valley Giant Pumpkin Growers (OVGPG) is a club dedicated to all who pursue giant pumpkins. The OVGPG serves to facilitate camaraderie between pumpkin growers in Ohio and the surrounding states, but also extends membership and and a good time growing pumpkins to everyone. The Pumpkin Patch Everything you ever wanted to know about pumpkins. Southern Ohio Giant Pumpkin Growers Check out the Southern Ohio Giant Pumpkin Growers web page to learn all about growing giant pumpkins. N.H.G.P.G.A. Web Page New Hampshire Giant Pumpkin Growers Association home page. Giant Pumpkins Giant Pumpkins in Michigan. Pumpkin Nook Home of the Pumpkin Nook Newsletter and a fine pumpkin web site! WGPG Homepage The Wisconsin Giant Pumpkin Grower's Homepage. Vermont Giant Vegetable Growers Association Proud to now be able to share all the information a Giant Vegatable Grower in Vermont may need on the Web! 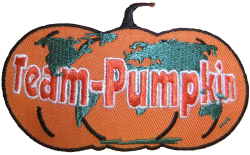 Maine Pumpkin Growers Organization (MePGO) We are the Maine Pumpkin Growers Organization. Our Website brings you news and information about giant pumpkin growing in the state of Maine and around the region. We feature unique how-to sections as well as tools that every grower can use. Pacific Northwest Giant Pumpkin Growers The Pacific Northwest Giant Pumpkin Growers (PNWGPG) website. Neptune's Harvest Fertilizer Neptune's Harvest offers organic fertilizers and insect controls. Fertilizers include 'cold processed' liquid Fish, Fish/Seaweed Blend, Seaweed, Dry Crab Shell and Kelp Meal. Insect controls include Hot Pepper Wax and Garlic Spray. Many top pumpkin growers use Neptune's Harvest products. Order on line or call (800) 259-4769. Giants of the Garden When -Too Big- just isn't enough! Colorado Pumpkins Our Mission is to introduce and provide a means of sharing information and friendship within the Art, Sport, and Challenge of growing Giant Pumpkins, Flowers, Fruits and Vegetables across the Rocky Mountain Region. UK Giant Vegetable Growers UK based website for growing all kinds of giant vegetables. PumpkinFest Held the first weekend in October, Pumpkinfest is two wacky, fun-filled days combining a fall fair atmosphere with a memory-filled experience for the whole family. 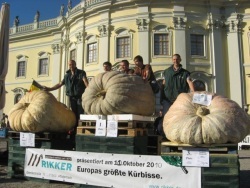 BigPumpkins.de from Germany The site of the "Kuerbis Company" (Kuerbis means pumpkin) - a professional pumpkin grower in Germany, who started to grow AG's this season (over 20 plants), running a webcam and has lots of info in German. GiantGardening.com Your Source for Supersizing Vegetables and Flowers! SNGPG.com The Southern New England Giant Pumpkin Growers website. Holland's Giants Our DVD selections include "How To Do Stuff In The Pumpkin Patch", "Seed Starting - Pollinating - And Water Systems", "Highlights Of 17 Years Of Giant Pumpkin Growing", plus our yearly productions from 1992 to the present. We also offer the finest supplies for growing giant pumpkins. After 20 years of growing, and a world record, we have identified the best fertilizers, mycorrhizal inoculants, foliar sprays, Calcium supplements, sprinklers, and much more! Steve's Pumpkin Art Steve enjoys carving all types of pumpkins but his specialty is carving pumpkins weighing well over 500 pounds. Mere Brow Giant Pumpkins Details of the annual Mere Brow giant pumpkin competition held in Lancashire, North West England. St Croix Grower's Association Website of the St. Croix Grower's Association, the premier giant pumpkin club of the upper midwest. Buy Giant Pumpkins Looking to buy a giant pumpkin? Check out the BuyGiantPumpkins.com website for details. Giant Watermelon Growers Club Giant Watermelon Growers (GWG) is a club dedicated to the promotion of the art of growing giant watermelons. The GWG membership is open to all giant watermelon growers, worldwide. Decorazolla - Italy A wonderful place enclosed in splendid Valdichiana where wonderful things are grow! 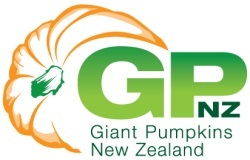 Giant Pumpkins NZ The website for growing giant pumpkins in NZ. Kasterlee Club of Belgium Belgium's largest giant pumpkin growing club. WOW Wallace Organic Wonder Wallace Organic Wonder offers the highest quality, environmentally friendly organic fertilizers, and the "freshest" mycorrhizal fungi for extreme growth, maximizing nutrient and water absorption producing stronger roots with more vigorous plants that produce earlier more abundant vegetables and brilliant flowers! Let WOW re-mineralize and improve the biological life of your soil for slow release organic fertilizing. Annapolis Valley Giant Vegetable Growers The Annapolis Valley Giant Vegetable Growers is a club dedicated to the pursuit of growing a variety of giant fruits and vegetables on the East Coast of Canada and beyond. Check out our web site for more club information and growing tips. Arizona Giant Pumpkin Growers The Arizona Giant Pumpkin Growers mission is to help growers develop friendships with people sharing a similar interest in growing giant pumpkins, and vegetables, in the Southwest Deserts (Arizona, Nevada, Southern California, and New Mexico.) By sharing information, growers can help each other find success within our hobby. Pacific Giant Vegetable Growers Pacific Giant Vegetable Growers. Growers of obscenely large vegetables! 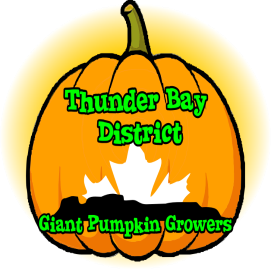 Thunder Bay District Giant Pumpkin Growers Thunder Bay District Giant Pumpkin Growers is a newly formed club in Northwestern Ontario Canada promoting the growth of giant vegetables in the area and for enthusiasts everywhere. Team-Pumpkin Everyone should grow a giant pumpkin and Team-Pumpkin wants to help.